Pursue a career of love, not wealth. Professional makeup artist Leslie Hernandez (left) concentrates as she does 2018 Miss Texas United States Andrea Fox’s makeup. 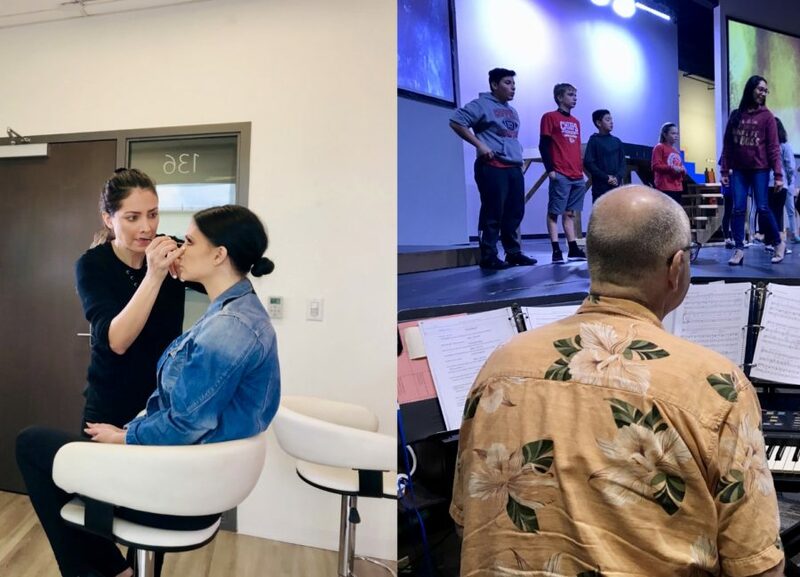 Ricky Mitchell (right) walks through the music of FUMC’s upcoming musical, “The Beauty and the Beast.” The Sidekick’s Camila Villarreal encourages readers to pursue their passions and not chase the big bucks. Scientists define happiness as having satisfaction or meaning in your life. Studies show after post-war depressions, an increase in household incomes correlated to growth in happiness, but only for a limited amount of time. Money has long-term effects on a person’s contentment only if it removes them from a place of poverty and threat into a reliable environment. The most common argument against doing what you are passionate about is that it will never make you money. You want success. Everyone wants success. Following your dreams cannot possibly lead you to that. You cannot have both. At first, I believed those words. Now I challenge them. Whenever I ask, people frequently tell me success is making money and having recognition. Do a quick Google search and you will find that success means “the accomplishment of an aim or purpose.” It does not say anything about how heavy your wallet should be. Coppell High School sophomore Josh Burak loves his music. Listening to it, learning about it, playing it. His wildest fantasy is going to college to study music and building a career out of it. His realistic vision is becoming a forensic accountant. I asked him to ponder about his future if he dedicated himself to what he loved. Being in love with something should not automatically define it as unstable. 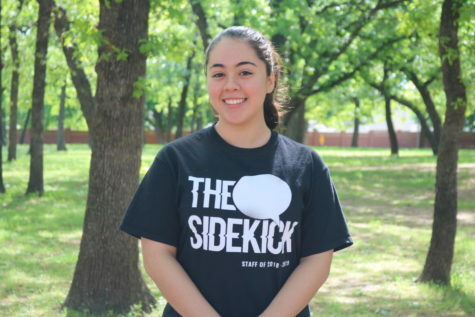 The Sidekick junior staff writer Nico Reyes recently published a story persuading people to follow a career that coincides with their talents and brings them financial security. “Having a less enjoyable career, but a career where one will excel in, will lead to the development of pride in one’s work,” Reyes writes. This can be true up to a certain point. When you sacrifice your talents and passion for money, they lose value and you lose motivation. You can go into a career that will make you money, but after a while, the dissatisfaction and personal unfulfillment will cause you to burn out. This can lead to depression, which can affect your work and end up backfiring. Professional makeup artist and Addison resident Leslie Hernandez is 37 and runs her own successful business, Backstage Makeup Professionals. She started with her own little beauty studio in Mexico before deciding makeup is her calling. Hernandez’s father convinced her to go to business school instead of makeup school, and she came out with a degree in marketing and her bags packed for the States, never once doubting her potential. When you are doing what you are happy with, you are contributing your talents to the world instead of using them for personal benefit. The world needs more people who are in love with waking up every morning and going to work. It needs more people who do not live with pennies and nickels clanking around in their heads. Mitchell went on to tell me about the time he and his wife, Pam, went to her 10-year high school reunion. The venue had been paid for by people who hit the jackpot during the early stages of the Texas oil bust in the 1980s. Mr. and Mrs. Mitchell had only been simple teachers, and they began to doubt if perhaps pursuing a career that would make them money too was a better option. Ten years later, Mrs. Mitchell’s 20-year high school reunion was in a trailer park. Those who had chased after the money were now broke and unhappy. To ignore what the universe gifted you is simply another way of disguising your fear of life for practicality.